There is a very small area with a 5% tornado risk (5%, brown, is the significant threshold) for later today and tonight. Of much greater concern is the developing flood risk in the central United States. The two maps below show the rain that has fallen in the last 24 hours. 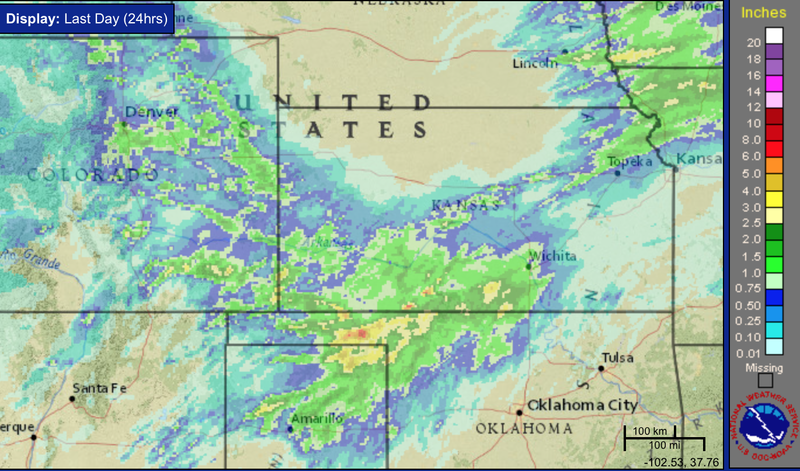 There are several red areas which equal six inches since yesterday afternoon and a very small area in the eastern Oklahoma Panhandle which received eight inches. At the Smith House in northeast Wichita, we received 1.2 inches. 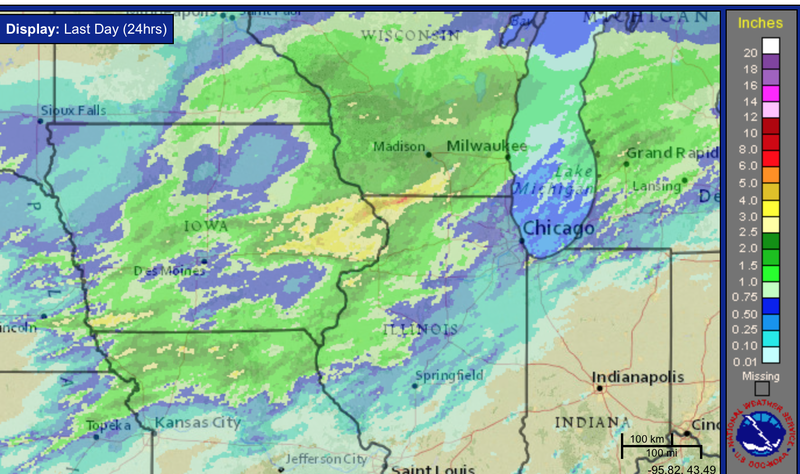 As much as six inches fell in a small area on the Illinois-Wisconsin border. 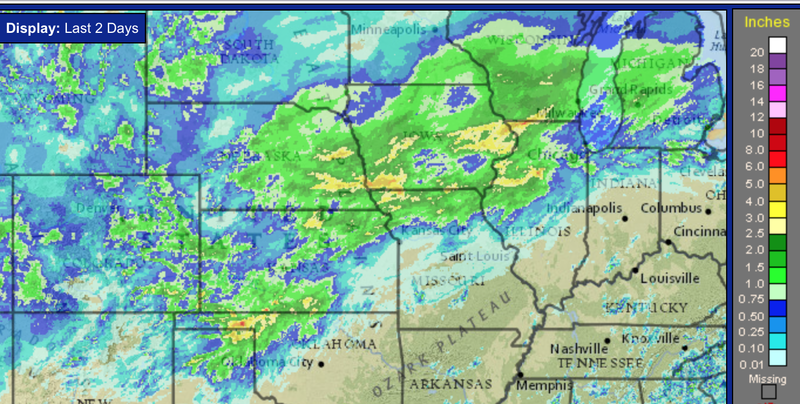 The two-day rainfall map shows extensive heavy rains have fallen in the Midwest and Plains. And, unfortunately, more is on the way. Below is the 5-day rainfall forecast from the NWS. 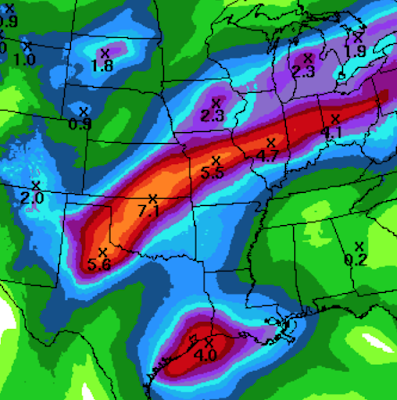 I believe flooding will develop over parts of the Plains and Midwest over the next five days. If you live in a flood-prone area, please be prepared to evacuate. And, remember, Turn Around, Don't Drown. Never try to cross a flooded area by foot or by car.